- Medium weight E-glass fabric. - For use in general welding. - White anti-glare impregnated coating. - Fibre is fully encapsulated. Material: Ceramic or glass fiber fabric or as per customers requirement. 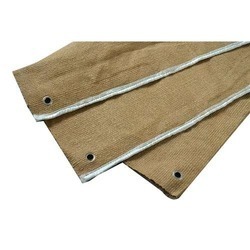 Temperature resistance : 400 degree C to 1150 degree C depending upon fabric used. Applications: Provide isolation protection from sparks, spatter, and slag. It can withstand mid-intensity sparks and mid-grade slag. 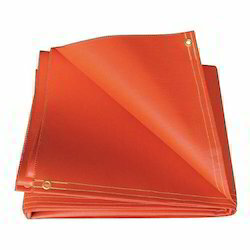 In obedience with customers' altered requirements and necessities, we are indulged in presenting Fiberglass Fire Proof Welding Fire Blanket to the clients.